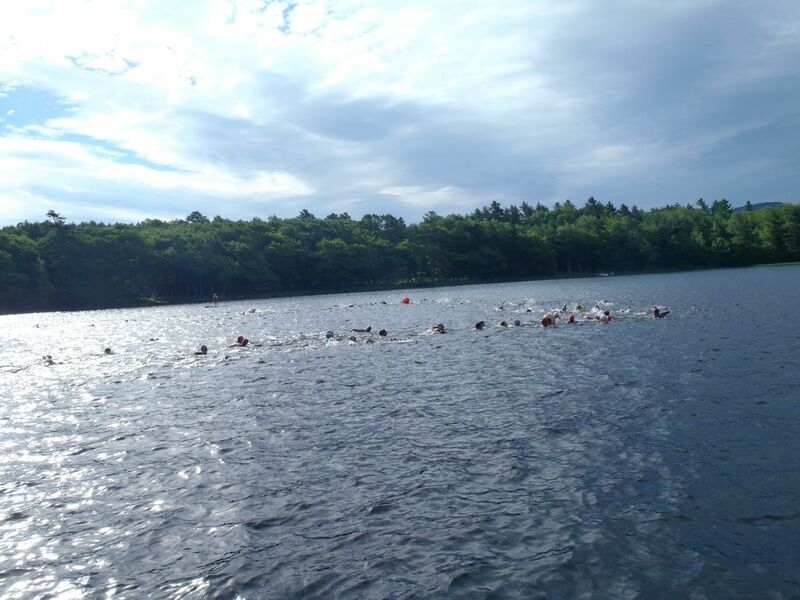 Triathletes round the buoys during the swim leg of the Hope Tri this morning on Hobbs Pond. The Maine’s Outsider and Thorfinn Expeditions provided paddle support for the 100 individuals and teams. What a day for a race!